Senate Democrats block package of bills which included codifying Israel assistance and protection for states which fight BDS. Senate Democrats on Tuesday blocked a package of bipartisan bills related to the Middle East, citing the ongoing government shutdown. The bills, which were submitted last week by Senator Marco Rubio (R-FL), deal with the US support for Israel and Jordan, impose new sanctions against the Syrian regime and also include legislation that would protect states which pass anti-BDS laws. Needing 60 votes to break a filibuster, the motion was defeated 56-44, according to CNN. Three Democrats voted with Republicans: Joe Manchin of West Virginia, Doug Jones of Alabama, and Krysten Sinema of Arizona. Democratic Sen. Bob Menendez of New Jersey also broke with his party to vote with Republicans. The package included a bill would codify the 2016 memorandum of understanding between the Obama administration and the Netanyahu government that guarantees Israel $38 billion in security assistance over 10 years, protecting the assistance from the whims of any current or future president. The major point of contention between Democrats and Republicans surrounding the package was the “Combatting BDS Act,” which seeks to counter the global Boycott, Divest and Sanctions movement against Israel. Rubio’s bill is a version of a bill that languished in the last Congress that would establish federal legal protections for states passing laws divesting pension funds from groups that boycott Israel. 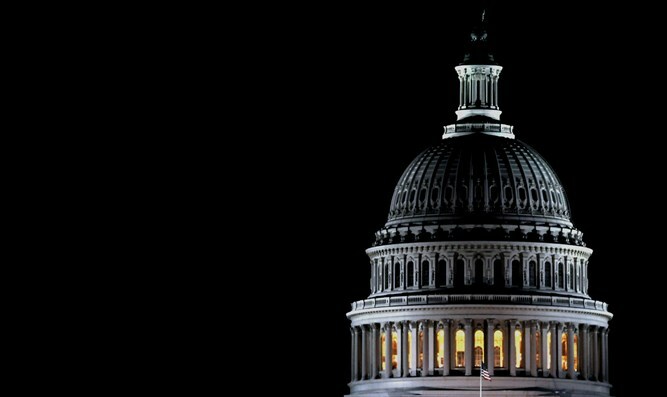 Democrats have said they will block the bill until government is reopened, according to The Associated Press.